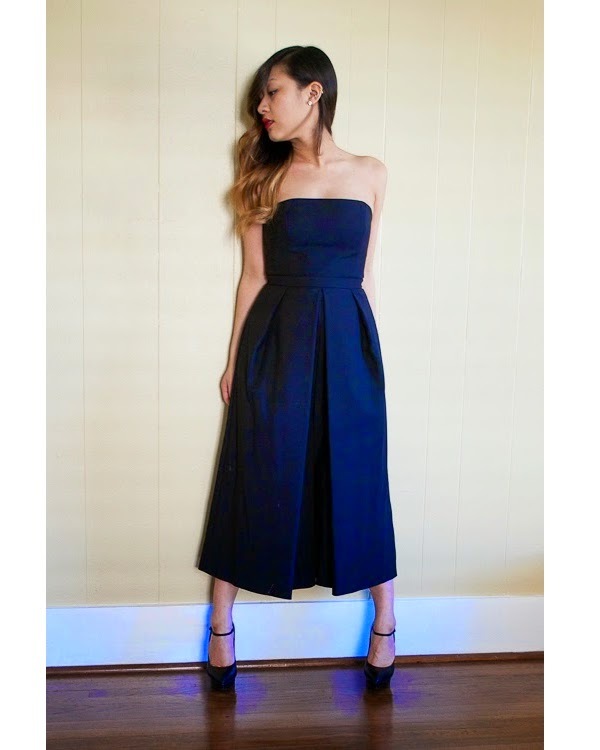 I was excited to debut this Tibi jumpsuit at a wedding I recently attended. 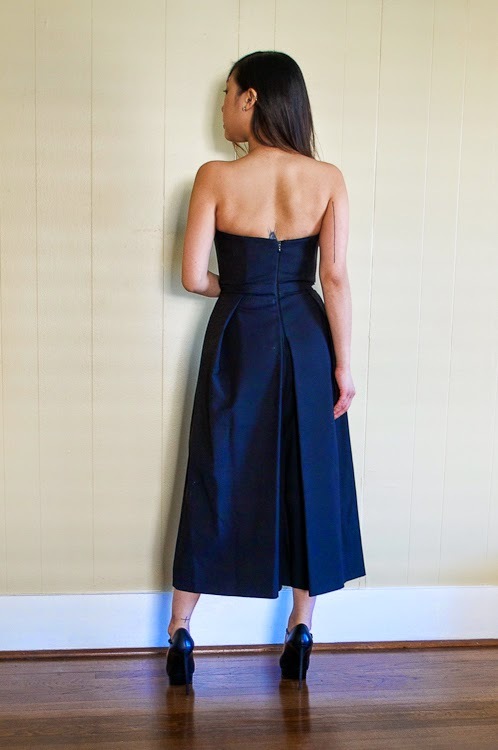 Yes, this piece that looks like a dress is actually pants. It's not obvious it's a jumpsuit, which makes you think "Well, if you can't really tell it's a jumpsuit then what's the point? It seems like you are just making things more difficult for yourself (i.e. using the restroom)." Which I would say is a very fair point...but there's something satisfying about knowing that your seemingly classic black dress is actually secret pants.